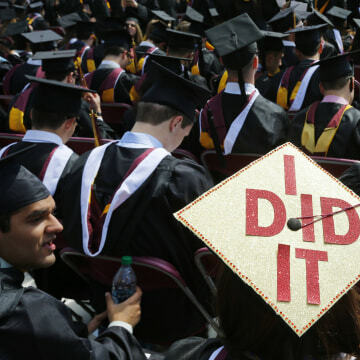 Just over half of all college students actually end up with a degree in their hands, a report released this week found. Only 52.9 percent of students who enrolled in U.S. colleges and universities in the fall of 2009 completed school within six years, according to the National Student Clearinghouse, an education non-profit. Even worse, the graduation rate is dropping: That number is a 2.1 percent decline from the previous year, which looked at the national six-year completion rate for students who started college in 2008. And it's twice the rate of decline seen in students who started college in 2007 versus 2008. Student populations across the board saw declines, the report said — but older students experienced the largest drops. Completion rates declined in both public and private four-year institutions, the report added. The recession — which officially ended in June 2009, according to the National Bureau of Economic Research — played a part in the report's findings, the authors said. "These students entered college at the tail end of the Great Recession; a time when institutions were dealing with declined public budget support and explicit increases in enrollment," they wrote. "Among other effects of the economic recession were tuition increases to counterbalance reductions in government budget allocations and decreased income due to unemployment." The percent of students who dropped out of school also went up, from 30.3 percent for the 2008 class to 33 percent for the 2009 class. That represents 153,000 students who started in 2009 and now don't have a degree, but may be saddled with higher-education debt. Traditional college students — those who began their education immediately after high school — had the highest graduation rates (58.6 percent completed college within six years, which was only a decrease of .75 percent from the previous year). Completion rates were the worst for students who started college between ages 20 and 24: 33.6 percent, a drop of 4.7 percent. 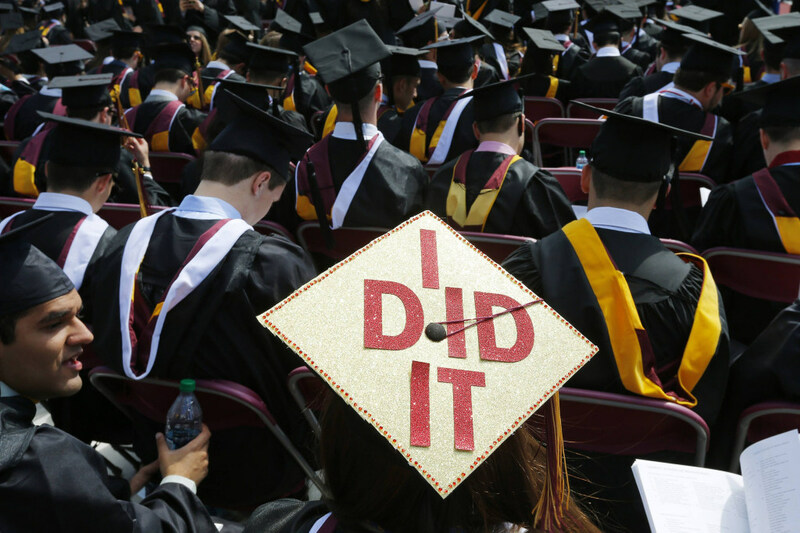 Those who enrolled after age 24 completed college at a rate of 39.2 percent (a drop of 2.9 percent). Private college experienced a bigger drop in graduation rates than public colleges: 2.1 percent, down to 71.5 percent at four-year private schools, versus 1.7 percent, down to 61.2 percent at four-year public colleges.